China’s 200-mile-per-hour high-speed rail system was the envy of the world until a terrible crash earlier this year killed 40 people and injured another 200 in the southern city of Wenzhou. The safety issues raised by the accident have now caused China’s government to put a halt to 80 percent of the country’s high-speed rail construction projects, which were on track to give the nation more miles of high-speed rail line by next year than the rest of the world put together. The crash in Wenzhou wasn’t the first sign of safety issues with China’s high-speed rail network, but it was the first accident that was severe enough to get the attention of the government, which is now reassessing the safety of the entire network. Chinese banks have been instructed not to lend money for new railway construction. 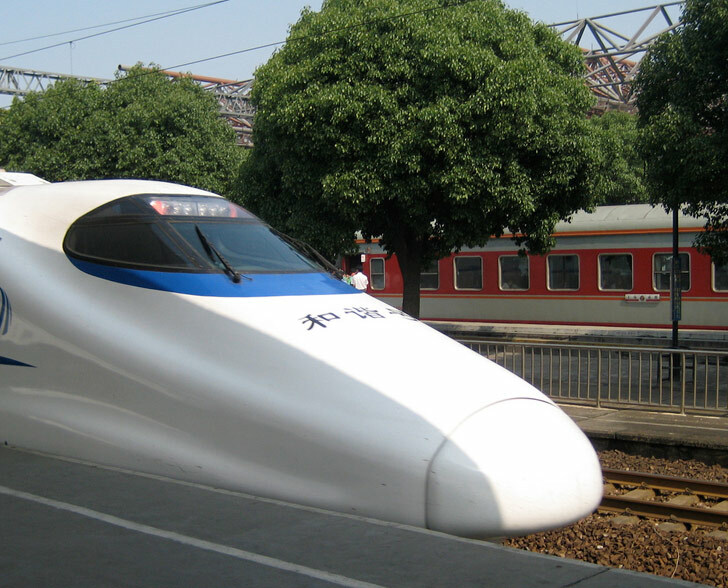 “There is no decision yet on the next move for China’s high-speed railways,” said the 21st Century Business Herald. btw, taiwan high speed rail has a perfect safety record since opening several years ago!! China's 200-mile-per-hour high-speed rail system was the envy of the world until a terrible crash earlier this year killed 40 people and injured another 200 in the southern city of Wenzhou. The safety issues raised by the accident have now caused China's government to put a halt to 80 percent of the country's high-speed rail construction projects, which were on track to give the nation more miles of high-speed rail line by next year than the rest of the world put together.